I , hereby authorize Accounts Receivable to duplicate my checking/payment information, or otherwise provided check, in bank draft form. This authorization is valid for this transaction only. The transaction amount will be for exactly $. I have read and agree to all of the terms and conditions on this page. 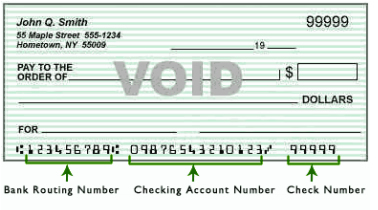 I certify that am the authorized account holder for this checking account. I understand that this is a legal binding agreement . I also understand that if my item or items, are returned unpaid for any reason, including, but not limited to, NSF, uncollected funds, invalid or closed account, stop payment, or any other reason, Accounts Receivable, will attempt to redeposit the item or items, and may choose to assess a returned check charge in the same or separate draft for $25, or the maximum returned check charge allowed in your state.